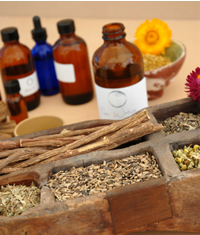 Occasional bouts of diarrhea can be safely treated with home remedies, which are often more effective than store bought ones. Simple foods such as apple pie and cooked carrots help add fiber to bulk up stools. Persistent, chronic diarrhea is a sign of a more serious underlying disorder that and needs to be diagnosed. Babies and elders are especially at risk. One of the most important treatments for diarrhea involves the patient consuming adequate amounts of water to replace that lost, preferably mixed with electrolytes to provide essential salts and some amount of nutrients. Drink fresh citrus juices, and/or you add electrolytes to distilled water with a pinch of salt and a few drops of lemon essential oil or a slice of lemon. Raspberry, agrimony, and peppermint leaf teas are all effective for diarrhea, but gentle enough for children. 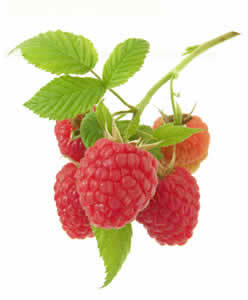 “Raspberry tea is given to reduce fever and calm diarrhea. A good tonic herb with a rich supply of vitamins and minerals that help build strong bones and general good health. Generally considered safe, with no unwanted side effects.” (Grieve, Maud) Meadowsweet is a specific for diarrhea in children, it's astringent action combined with nutritives makes it safe, mild, and effective. (Dawson,Adele) You may have to hold their noses to get them to drink it, however, as it is very bitter. IBS, irritable bowel syndrome, is a debilitating disorder of the intestines that caused irregular bowel movements.